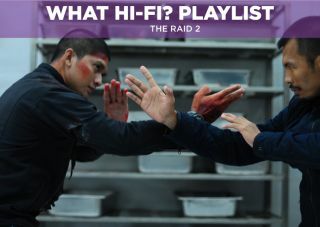 The Raid 2 – film review | What Hi-Fi? Sequel to 2011 hit The Raid, The Raid 2 (or The Raid 2: Berandal) is another breathless martial arts action film that outdoes its predecessor in both size and action with some brilliantly devised fight scenes. Beginning a few hours after The Raid finishes, Rama (Iko Uwais, lead actor and co-fight choreographer) is asked to get to the bottom of police corruption by infiltrating an Indonesian crime family and looking for evidience of police collusion. Matters get complicated when he learns of his brother's death at the hands of a local mobster Bejo (Alex Abbad), who has an elaborate plan to take over the crime factions in Jakarta. From the off The Raid 2 sets its stall out as a different beast from the original. There's more weight and heft to this story, taking the simplistic, almost video game-esque set-up of the first film and spinning it out into a complex tale of ambition, revenge and warring crime families. Wearing several hats on this production (writer, choreographer, director and editor), Gareth Evans applies his taste for mayhem to the action scenes but tempers this action with a considered and serious story that's chock-a-block full of characters. If anything, it features a few too many. At times The Raid 2 comes across as a mite too convoluted, making it hard to follow the numerous characters and plotlines and leaving some scenes open to misinterpretation. A few nips and tucks might have made the story more palatale, with one expanded plotline featuring an assassin called Prakoso (played by Yayan Ruhian, who played Mad Dog in the first film), coming across as particularly superfluous. Still, once the film settles down and finds its groove, it becomes a visceral action experience. Fights are blisteringly fast, with quick cuts (not at the expense of visual coherence) and camera whip pans ensuring that this film will be a good test of your system's motion processing. The fight scenes here are incredibly fast and flowing, so The Raid 2 should be an excellent Blu-ray/DVD test disc. The sound design is a fantastic feature of the film too, with every hit – baseball bat, hammer or otherwise – feeling eye-wincingly real. The Raid 2 more than delivers when it comes to action, which is what most people will be here for ultimately. Excellently choreographed, this is breathless stuff with each fight feeling unique, whether it's a muddy prison yard scrap or a fight within a chaotic chase scene. Each sequence takes ample opportunity to inventively use elements of the environment with car doors, a Hibachi grill (Google it) and glass bottles thrown in to the mix. It even manages to find some darkly humorous moments amongst the carnage, something of a given for a film that has characters called Baseball Bat Man (Very Tri Yulismann) and Hammer Girl (Julie Estelle). You don't need much of an explanation as to what function they serve in the film. There are moments in each fight that will leave you audibly 'ooohhing' at the action on screen, with the final fight in a kitchen between Rama and The Assassin (Cecep Arif Rahman) simply outstanding. While the film could do with some pruning, from a pure action perspective The Raid 2 is one of the best films of the year. An exhilarating, brutal and bone-crunchingly effective sequel.